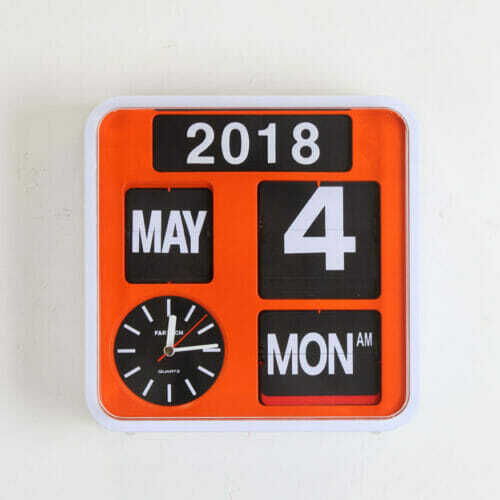 This calendar clock flips automatically every date, day, and month. Fartech Design. SKP Japan Movement. Monday to Friday shows in black color plates, Saturday is green and Sunday is red. Battery: 5 x AA size battery. Package comes with user manual and flip number plates for the year display. 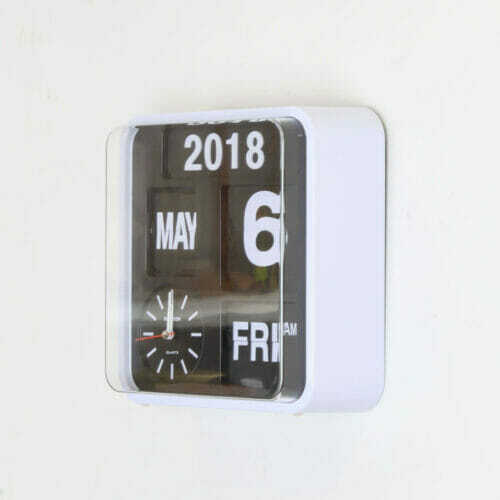 This calendar clock looks great on my wall. Big letters and numbers means everything is crystal clear even at a distance in my living room. On the first couple of days, the date wasn’t changing at all so I took it down and manually flip the day and month over twice and the day after everything appears be synchronizing. I like to watch the date and day flipping over automatically. 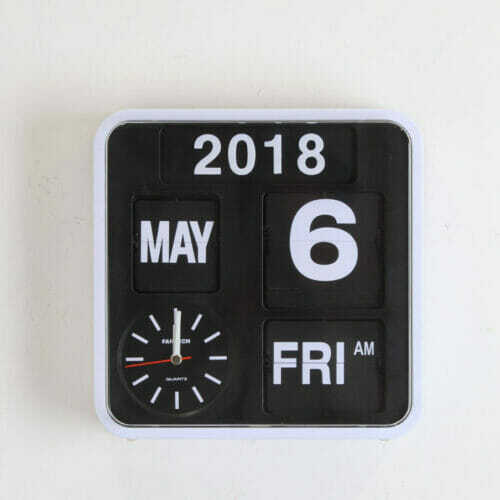 Very useful for my elderly father who can’t quite remember what day it is. We will see if it is easy to adjust at the end of February , but so far am very pleased. I bought this clock from Homeloo’s eBay shop as it was very difficult to find something like this in Australia. Very prompt delivery – arrived in under a week. I am very happy with it as it is so easy to see the day and date. Thank you Homeloo. 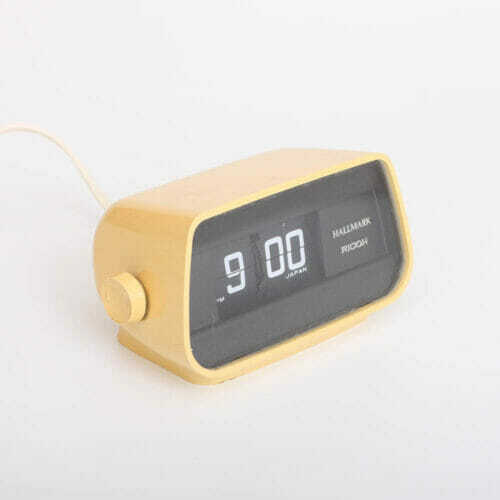 This s a wonderful Retro clock! It can display in the colors green for Sat and red for Sun (As shown in the pic).Slient and accurate! Price is reasonable for these features compare to Japanese brand clock maker. 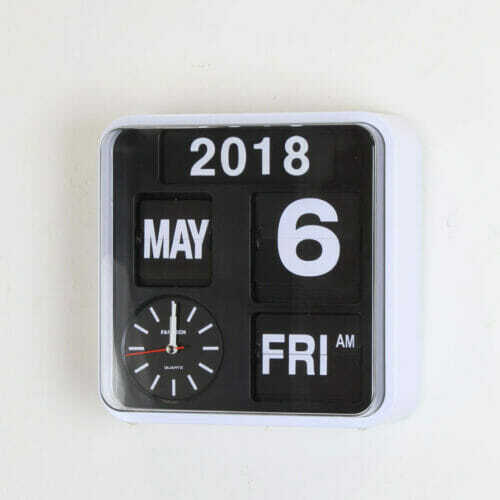 First let me say how hard it is to find an genuine automatic calendar flip clock. There are not many out there, so I was happy when I found the clocks on homeloo. Considering that the clock is air shipped from Hong Kong, the delivery time was reasonably short. Airmail is the only shipping option to the USA. But, these days you would not want to wait for a slow boat, would you? 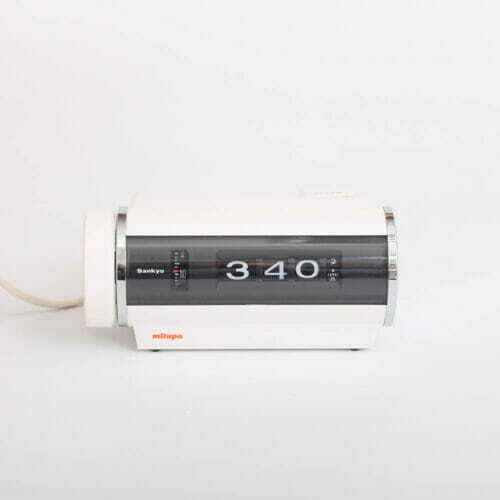 This clock is simply wonderful. 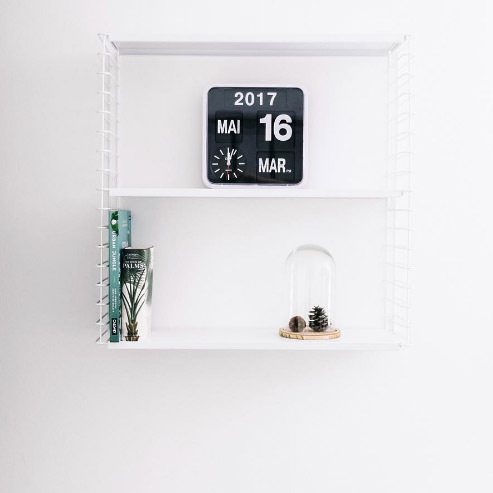 It’s easily readable from across the room and is especially suitable for retired folks who easily lose track of what day it is… not because of memory problems, but because they are no longer on a fixed schedule (and could probably care less). Set it and forget it, with two exceptions. Leap years have to be manually changed at the end of February and the Year is changed with plug-in numbers that are supplied and stored inside the clock. Additional features are an AM to PM change over and the week-end days are displayed in the colors green for SAT and red for SUN. I am very happy with this purchase. 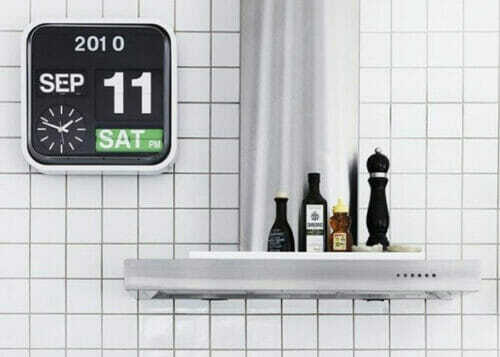 I love this calendar clock!